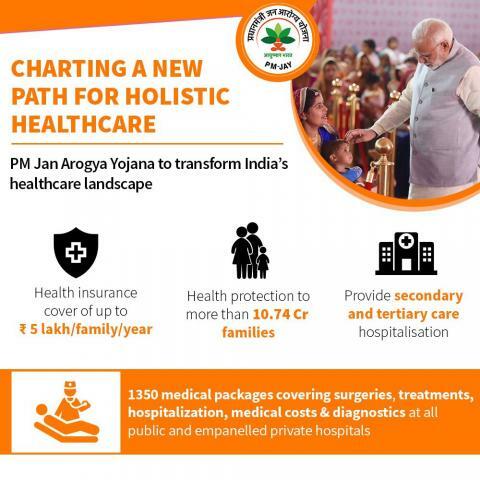 The Ayushman Bharat Pradhan Mantri Jan Aarogya Yojana is already launched by the Indian Prime Minister Shri Narendra modi on the independence day 2018. 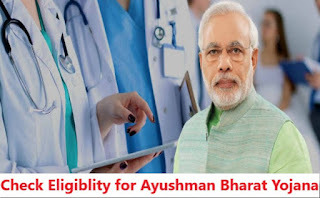 Check your eligibility for Ayushman Bharat Scheme given below. 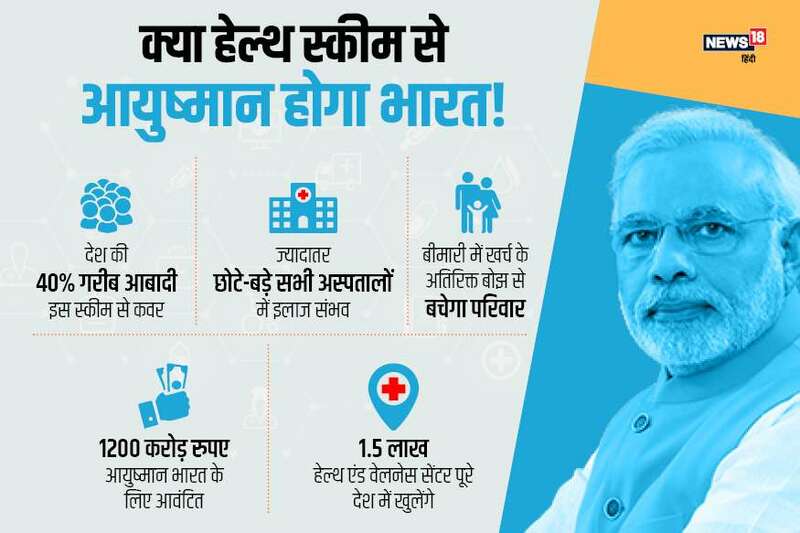 10 Crore families are getting insurance benefit of this Prime Minister Modi's flagship Ayushman Bharat Scheme. 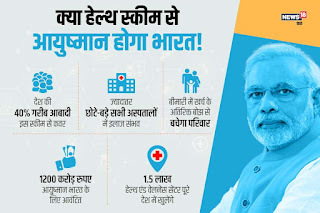 Ayushman Bharat is like a without premium insurance for poor and vulnerable families to provided by the government. It is providing cashless coverage up to Rs 5 lakh per family per year for secondary and tertiary care hospitalization. ‘Ayushman Bharat’ scheme uses the deprivation conditions in Socio Economic & Caste Census as for eligibility criteria. In rural areas, households should belong to one of the six listed deprivation criteria. 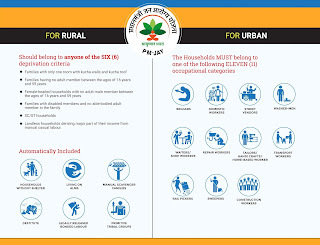 Some categories are automatically included for rural areas. In urban areas, the households must belong to one of the eleven (11) listed occupational categories. 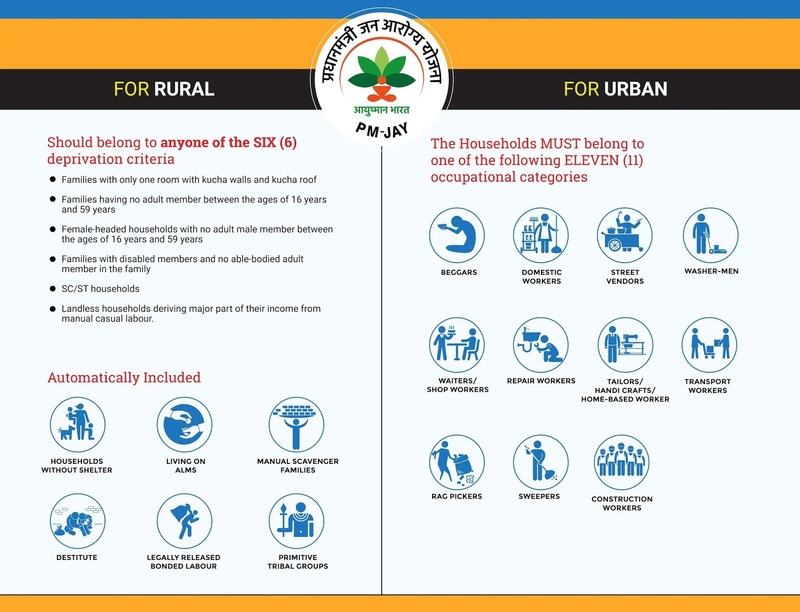 Ayushman Bharat Households that belong to one of the SIX (6) deprivation criteria as per SECC. Who is eligible for Ayushman Bharat PM Jan Arogya Yojana?